SEE BELOW FOR OUR 2019 PROGRAM. Open to all study club members, workshop sessions are one day sessions that are usually held on Saturdays. 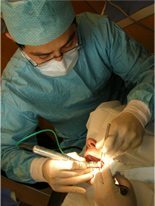 Every year, many different workshop topics are covered, such as anterior esthetics, practice management, dental technology, and different types of bone grafting techniques. The sessions consist of lectures, demonstration surgeries, and hands on components. These days are opportunities for attendees to bring in their own patients for a variety of procedures including simple implant placement, bone grafting, sinus lifts, sinus augmentations and immediate load cases. Dr. Li assists all cases personally providing a one-on-one learning experience unlike other study clubs. For attendees with 3-4 cases, a private session is also available. If booking a new technique (ie sinus lift) for the first time, please attend the appropriate workshop session first. Most workshops and evening seminars are held at 2nd floor- 225 W 8th Ave, Vancouver. Surgery sessions are held at Dr. Frederick Li’s office at 1115-750 W Broadway, Vancouver.